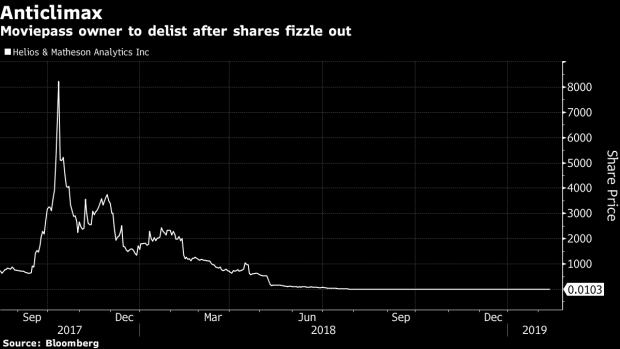 (Bloomberg) -- Helios & Matheson Analytics, the owner of Moviepass that offered theatergoers unlimited access for as little as $10 per month, is expected to delist from the Nasdaq at the end of the day today, according to Bloomberg data. Shares will continue to trade over the counter, according to data compiled by Bloomberg. A spokesperson for Helios & Matheson did not respond to phone and email requests seeking comment.